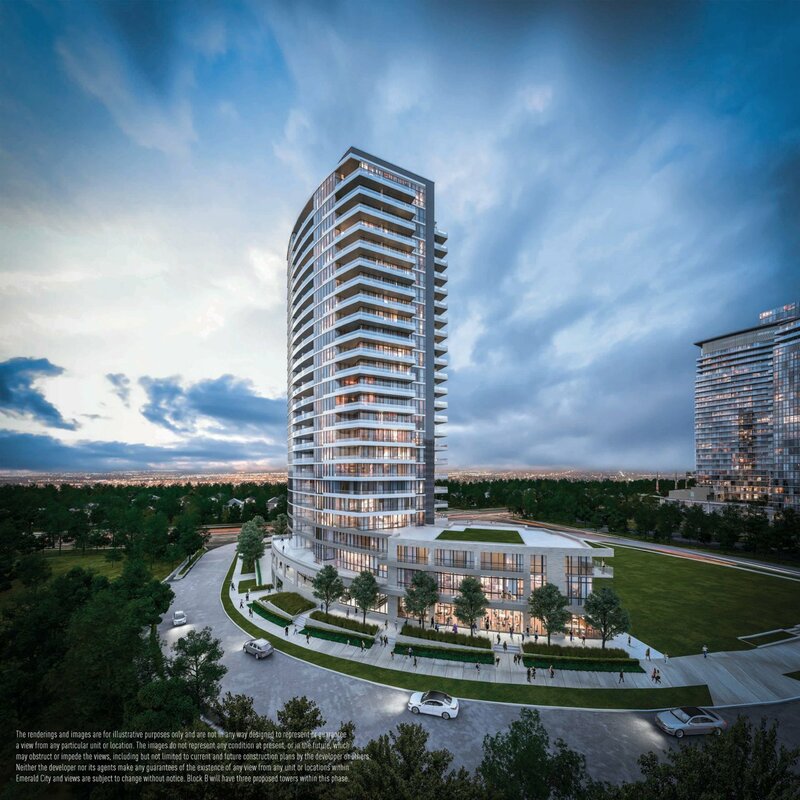 Now on sale in Elad Canada’s master-planned Emerald City community in North York, Fifth on the Park Condos has just announced a new floorplan release this weekend. 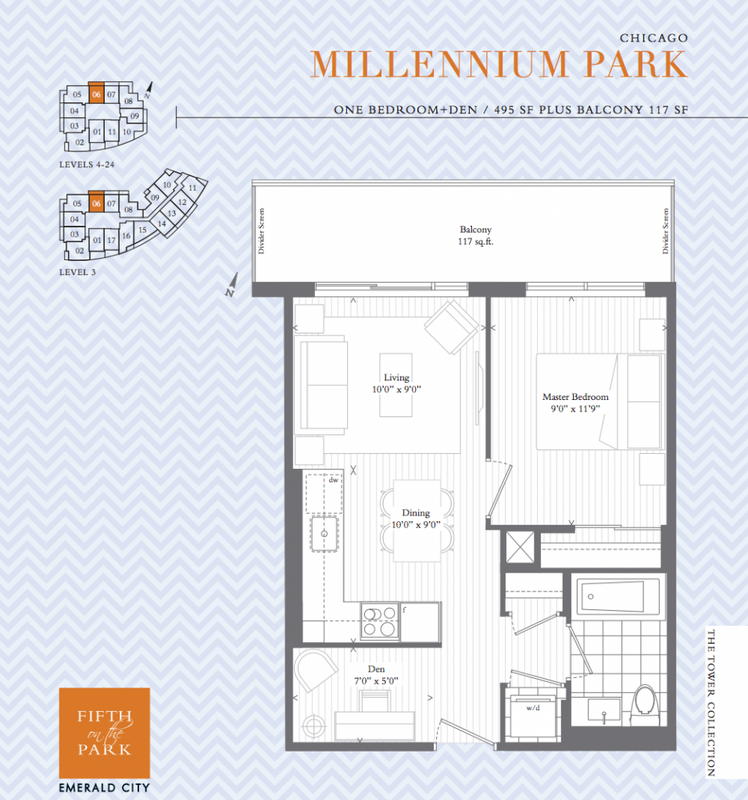 Named after Chicago’s famous 24-acre urban park, the Millennium Park and Millennium Park 2 suites have identical layouts with slightly different dimensions. Priced from the mid-$200,000s, both models offer close to 500 square feet of indoor living space and a spacious balcony for outdoor enjoyment. The suites feature a functional den area off the foyer that could also be used as a library or study room. Down the hallway, the L-shaped kitchen boasts plenty of storage space and room for a centre island or dining table, while the adjacent living room provides the perfect spot for entertaining. In the master bedroom, a large window provides plenty of light with views out to the balcony and surrounding area. There’s also a large closet with ample space for clothes, shoes and other accessories. 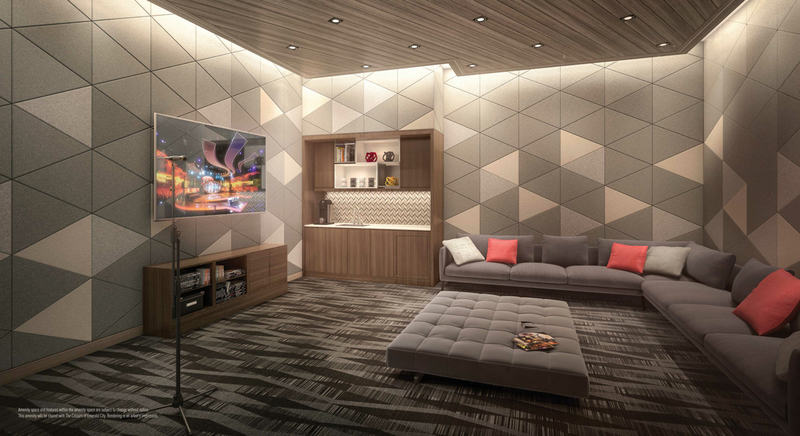 When Fifth on the Park begins occupancy in 2018, residents will have access to a wealth of on-site amenities. From typical condo amenities like a party room, fitness centre and swimming pool to unique amenities like a WiFi Café Lounge, an arcade and game centre and even a karaoke/theatre room, the development has something for all to enjoy. In addition, residents of the community will be steps from the newly opened Parkway Forest Community Centre, across the street. This state-of-the-art facility features a full-size gymnasium, weight room, dance studios, running track, craft and meeting rooms, youth lounge, commercial teaching kitchen, YMCA-run daycare centre and a rooftop garden. An aquatic centre and outdoor pool are also slated to open next fall. That’s on top of the other schools, shops, services and public transportation options all within walking distance from the property. 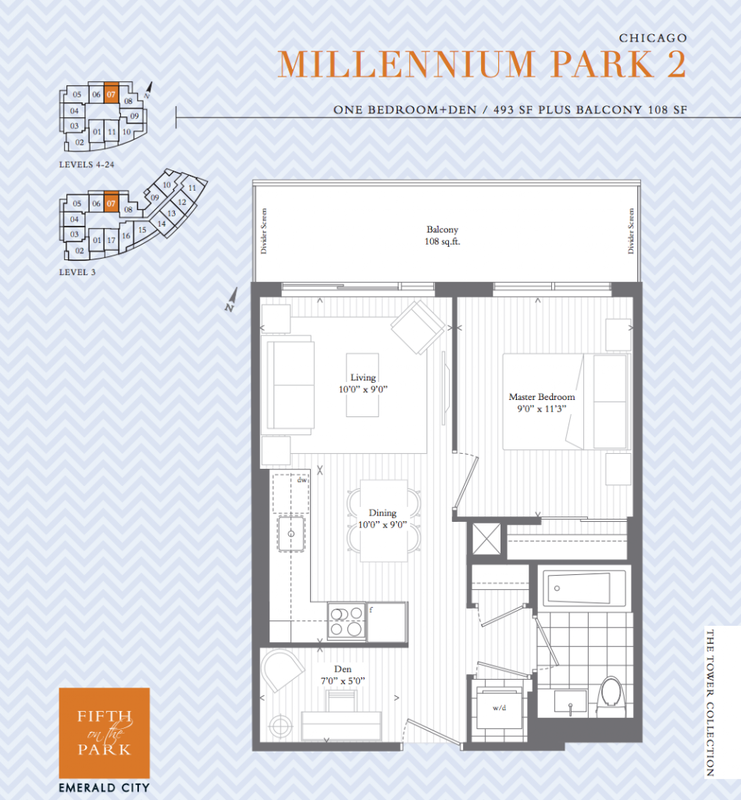 Homes at Fifth on the Park are priced from the mid $200,000s and range in size from 486 square feet to 818 square feet. Be sure to register online and visit the Emerald City presentation centre and model suite located on Sheppard Avenue, east of Don Mills Road, across from Fairview Mall. For more information call 416 492 0001 or visit fifthonthepark.ca.